Inspired by the Horrible Histories TV show, 101 Most Horrible Tortures misses out all the boring stuff and gets straight to the very sharp point, the weird, bizarre and even a bit of the gore! Often when learning history at school, we’d all squirm in our chairs at hearing about the odd bit of torture or terrible execution but on the inside a bit of us loved it. This book covers some of the craziest tortures that humans have inflicted on each other over the last 6,000 years from every corner of the world. Whether you like your tortures boiling hot; if medieval dungeons are your thing or you think Mongolian tortures are the coolest procedures until the CIA Cold Cell Air-Con torture. 101 Most Horrible Tortures In History takes a wry look at history, torture and bizarre punishments of times past and just a bit of the present so that we can thank our lucky stars that none of this is ever likely happen to us. History doesn’t have to be torture! 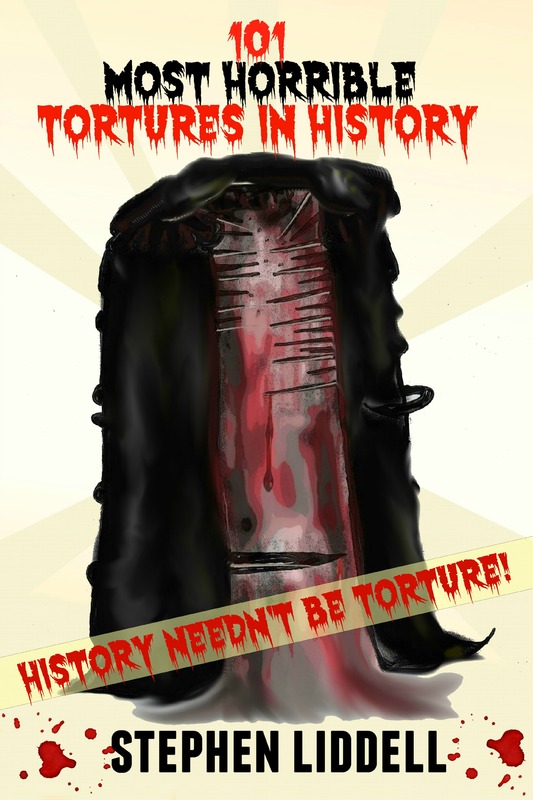 101 Most Horrible Tortures is available from the UK in Kindle format from Amazon here and paperback format here. American Amazon readers can squirm their way through the book in Kindle format here and in paperback format here. As well as being available through Barnes & Noble, Kobo and Nook, you can also get in on the action on your favourite Apple product by purchasing the book on iBooks by clicking below!